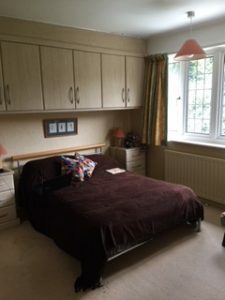 A friendly, interesting lady with a sense of humour in her 50s is offering a double bedroom and shared use of her home in exchange for about 10 hours a week of practical help plus around 5 hours a week of additional companionship each week, and the reassurance from having someone living with her. This opportunity would suit someone who works or studies and would be able to give friendly support and companionship and diary management, over breakfast, in the evenings and a few hours at the weekends. The lady is living with Autism which means she can get easily distracted, stressed and anxious if things get too much for her. She has plenty of help during the day from family and other professionals. However, she would welcome the friendly support of a Sharer who can help her with her daily routine, share cooking and eating some meals, help manage the house, join her on some activities/outings, and flag up any concerns with family and her support team. Her wide range of interests includes doing crafts and jigsaws. She is interested in history and likes watching history programmes. She is light-sensitive and doesn’t like loud noises. She would appreciate a female non-smoking Sharer who is positive, friendly and organized and who works regular hours. If you are interested, please email your contact details and a little information about yourself including your work/study commitments, why you are interested in this Share and your own hobbies, interests, cooking ability/style and availability.